The product launch ignition video series consists of 9 step-by-step tutorials explaining how to mitigate server crashes during your product launches. I see everyday, product launches happening. Some do enormously well and some don’t make a couple dollars. You could spend months or even years to get a product developed, but if the product launch planning is done incorrectly, you won’t get the results you want. You see….my goal here is to get you to launch a good product, so you can help people, and in the end you will make the profit’s you want. Now keep in mind that this is not a get rich quick system either, and it takes hard work. There I said it. But just with any business, if you have the right plan to go by, then your chances of doing well is greater. The biggest mistakes I see people make is launching a product without doing the proper testing and planning. Not only have I seen it, I’ve experienced it myself. Yes, I have several launches that were pure failures, but I learned from them, so I’m glad I failed. Ultimately failure in the end is success if you learn from it. With that said, you don’t have to make the same mistakes I made by watching this video series. Condition: You must have a product and have at least a month ahead of your launch before you use this video product. If you don’t have a product, but still want to plan ahead, go right ahead. But I want to let you know in advance and be honest that you’ll be receiving information about Product Launches. In this video, we introduce you to product launches and an overview of this video series. See…understanding what you will be learning and how this system comes together will help you speed things up. This video covers a first step and an important step to product launches. Without the proper planning, your launch will fail. When I say “fail”, I mean it won’t reach it’s full potential in impact, whether that may be how many people you are able to help and at the end of the day, profit’s. So in this video, you’ll learn what it takes to plan a launch correctly, every step of the way. Imagine this. You launch your product. You’re all excited…and then CRASH! Your site goes down and customers that want to buy can’t. You email them later and they no longer want to buy…so you end up losing out on a lot. These are true stories. The fact of it all, is that yes it happens to just about anyone, it’s happened to me, it’s happened to many others, and it can happen to you. But with the proper knowledge you can prevent it from happening. In this video you will learn how. In Video #4, you learned how to find and contact affiliates. But if you don’t have the proper promotion tools for your affiliates to use, then they may not promote your product. You see, most of your affiliates are on busy schedules, so it’s your job as the product developer to make it super easy for your affiliates to promote. In other words, do 100% of the work, so your affiliates can hop onto your product launch quickly and easily. More on that in this video. Should you have a contest? Should you give prizes for winners of your contests? Can contests really boost your over profit’s? Those questions and more will be answered in this video. I’ve seen product launches without a prelaunch and ones with prelaunches. And the ones with prelaunches have always done very well, assuming all the proper planning has been done ahead of time. This is because if people know that you are about to launch and they have been waiting, they’ll be ready to buy. It’s all about curiosity. Without the proper prelaunch, you’re again leaving money on the table. More on that in this video. It’s the big launch day. You’re ready to launch. You’re excited. Is that it? Nope. There’s a method called the snowball effect which you need to use while it’s happening. And without using it, you could be leaving $1000’s on the table. More on that in this video. After launch day, you need to follow up with both your JVs, affiliates, and prospects. But what do you do? 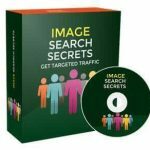 This method I’ve seen pull in $1000’s more, but you have to do it right. Do it wrong, and you’ll lose time and money. More on that in this video. 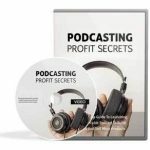 So…with that said, grab this video series now and learn how increase your profit’s by launching your product the right way! 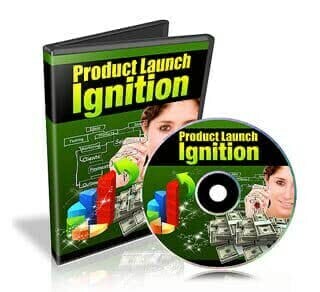 Finally, learn how to increase your product launch profit’s and much more starting today with the product launch ignition video series! Server crashes are typical with good product launches. Without the proper knowledge, your product launch could crash your server. Don’t let this happen to you and learn how to prevent it in this product launch ignition video series.